↑ Warder: "The sudden appearance of large numbers of (Mahayana) teachers and texts (in North India in the second century AD) would seem to require some previous preparation and development, and this we can look for in the South." - Warder, A.K. (3rd edn. 1999). Indian Buddhism: p. 335. ↑ Williams, Paul. Buddhism. Vol. 3. 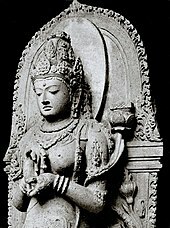 The origins and nature of Mahāyāna Buddhism. Routledge. 2004. p. 50. Murdoch (1910). History of Japan, volume i.
Suzuki, D. T. (1914). In Paul Carus, ed., The Monist, volume xxiv,. Williams, Paul (1989). 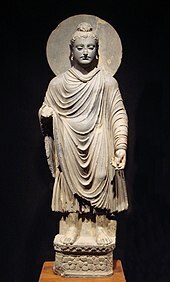 Mahayana Buddhism. Routledge. Wikisource has the text of the 1905 New International Encyclopedia article Mahāyāna. The Mahayana Mahaparinirvana Sutra: complete text and analysis.